During World War II there were several companies involved in manufacturing parachutes and maintaining records of the life-saving "incidents". The Switlik Parachute Company and the Irvin Air Chute Company were two of them. Below you will find some information on them and on obtaining replacement certificates and pins, along with a little history of the parachute. The Caterpillar Club was originated at Dayton, Ohio between October 20, 1922 and November 11, 1922 by Messrs Hutton, Verne Timmerman, J. Mumma and Milton H. St. Clair. This world-wide club is for aviators, military and commercial, who have saved their lives with a parachute in an emergency. It all started with a young army test pilot named Harold Harris. On October 20, 1922 he was flying a Loening W-2A monoplane fighter in a mock dogfight with a friend. His plane had been equipped the day before with experimental aerodynamically balanced airlerons. After taking off from the test center at McCook field, Dayton near where the Wright brothers tested their plane, his plane suddenly rocked violently and Harris found he could not control it. He had to bail out. Standing in the cockpit, he was sucked out by the slipstream. After three tries he found and pulled the rip cord. This main chute opened about 500 feet above the street of Dayton. Looking up he admired the beautiful silk from which the parachute was made and marveled at how white and clean it was. He was the first American known to be saved by a manually operated parachute in an emergency jump from a disabled aircraft. Two reporters from the Dayton Herald, discussing the event, suggested that since there would be more jumps with the chute, a club should be formed to embrace these intrepid airmen. They considered several names for the organization and selected the Caterpillar Club. The reasoning was simple - the parachute main sail and shroud lines were woven from the finest silk. The lowly caterpillar worm spins a cocoon and crawls out and flies away from certain death. c/o Switlik Parachute Co. Inc. The Caterpillar Club was formed in 1922 after Lt. Harris bailed out of an airplane over Dayton, Ohio. Since that time, thousands of airmen, flyers and passengers have enrolled in this organization. We have no dues, and the initiation fee is nominal ($10). An attempt was made to formally organize the Club into chapters in 1943, and again after the war in 1947. This takes a lot of effort, and although the club is incorporated and Caterpillar Club is copyrighted, the dedicated interest after the war was not there. Among the many Caterpillars who carry or carried Caterpillar Club membership cards are former President George Bush, General Doolittle, and Colonel Lindbergh, to name a few. The Caterpillar Club - Irvin Parachute Co. 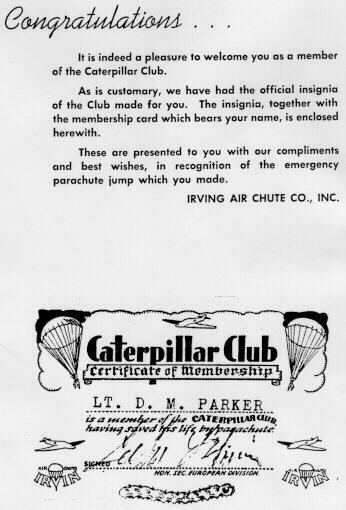 The Irvin Air Chute Co. started the Caterpillar Club in 1922 and the practice of awarding the tiny gold Caterpillar Pin to anyone who saved his life by parachuting from a disabled or flaming aircraft. 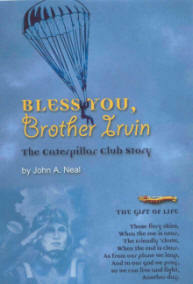 Each recipient of the Caterpillar Pin is living testimony to the life saving ability of the Irvin Type Air Chute. The Caterpillar is symbolic of the silk worm, which lets itself descend gently to earth from heights by spinning a silky thread to hang from. Parachutes in the early days were made from pure silk. In 1919 Leslie Irvin, a 24-year-old stunt man from California, demonstrated the first "free drop" parachute. He had made the chute himself on a borrowed sewing machine. Flying safety experts were so impressed that the American Air Force and British R.A.F. promptly adopted the parachute as standard equipment. Later the same year, Irvin established his first factory for the mass production of parachutes in Buffalo, New York. In 1926 the first European factory was established in Letchworth, England. During the height of World War II, production of parachutes at the Irvin Air Chute Co. factory in Letchworth, England reached a peak of nearly 1,500 parachutes per week. 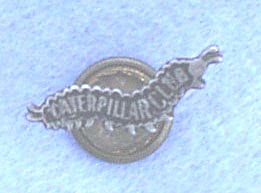 By late 1945 there were 34,000 members of the Caterpillar Club. It is estimated that at least 100,000 peoples lives have been saved by Irvin parachutes. Here is a link to information about obtaining a replacement Caterpillar Club pin from the Irvin Aerospace Limited - they handle all requests for incidents that occurred in Europe. When inquiring about obtaining a replacement pin, It is suggested you provide as much information on the incident as possible, including the full name of the member, the date of the incident, the location of the incident, and the reason that a replacement pin is being sought. Also, any other supporting documentation may be helpful in their tracing of the membership records. You saved me from an awful fall. I owe my life to your man made wing. Credit for the invention of the parachute goes to Sebastien Lenormand, although it had been anticipated by Leonardo Da Vinci (1452-1519). J.P. Blanchard (1753-1809), a Frenchman is said to have been the first to use a parachute. In 1785 he dropped a dog in a basket, to which a parachute was attached, from a balloon high in the air. Blanchard claimed to have descended from a balloon in a parachute in 1793. Another French aeronaut, Andre J. Garnerin (1769-1823) is credited with being the first to regularly use the parachute successfully. On October 22, 1797 at Paris, France, he successfully performed an exhibition jump from an altitude of more than 2,000 feet. At a similar exhibition in England on September 21, 1802, he jumped from an altitude of approximately 8,000 feet. He used a parachute approximately 23 feet in diameter. These were some of the early parachutists who made their jumps from large balloons. The first successful parachute jump to be made from a moving airplane was made by Captain Berry at St. Louis, Missouri, in 1912. In spite of this the use of parachutes as an emergency egress device for military air crewmen was not used by the French, English, or Americans during World War I, although the men in observation balloons were issued parachutes. In 1917 the German pilots were issued container type chutes, and successfully used them during the last 12 months of World War I. The Allies were still debating the advisability of using parachutes as a means of escape from aircraft when the armistice was signed. 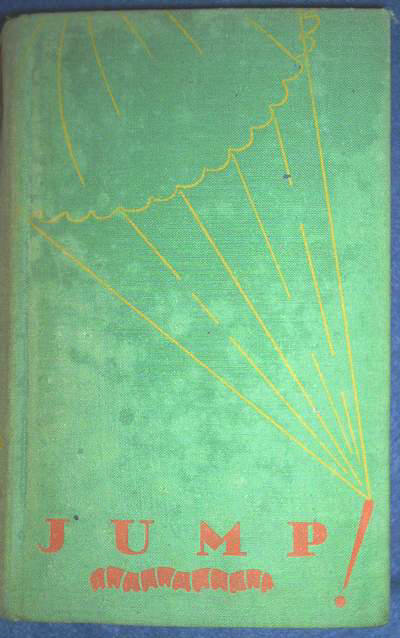 It seemed that some of the hesitancy about issuing parachutes to aircraft personnel was because of the prevailing opinion at the time regarding the ability of the man, once he had bailed out of the aircraft, in an emergency, after jumping free of the aircraft, they would not have sufficient control over their arms to manually pull the ripcord. Another concern, at the time, was the fear that, when attempting to fall free of the airplane, the parachute might foul on the plane if the ripcord was, in some manner, anchored to the aircraft. As a result of this apparent dilemma, military use of the parachute by American pilots was delayed until after World War I. 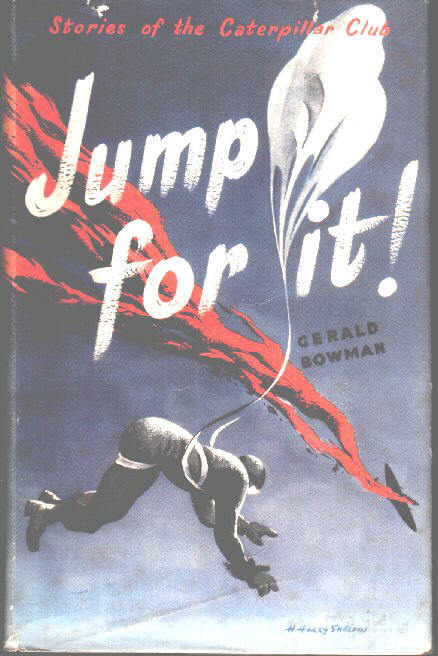 These opinions were shattered when, in conjunction with a parachute research team at McCook Field, Leslie Irvin and Floyd Smith developed a 28 foot back pack parachute. On April 28, 1919, Irvin jumped from a de Havilland biplane traveling at 100 miles per hour at an altitude of 1,500 feet. After bailing out of the airplane and falling free, he manually reached the ripcord handle and pulled it, and the parachute was fully deployed at 1,000 feet. Thus Leslie Irvin became the first American to jump from an airplane and manually open the parachute in midair. More than 1,500 successful experimental parachute jumps were made from airplanes before the seat pack type parachute was issued as regular equipment to the U.S. Army in 1919. In 1922, use of the parachute became mandatory by order of the Adjutant General. Following this, the British Royal Air Force adopted the U.S. type of seat pack parachute in 1925. On October 20, 1922, Lieutenant Harold Harris, Chief of the Flight Test Section of the Engineering Division of the U.S. Army Air Service successfully bailed out of a disabled test aircraft, landing in a small grape arbor in the backyard of 337 Troy Street, in Dayton, Ohio. His was the first life ever saved in an emergency jump from a disabled aircraft with a manually operated parachute. Lieutenant Harris later became General Harris. His interest in flight safety continued for many years. In June, 1966 he retired from his position as Board Chairman of the Flight Safety Foundation. During the winter of 1939-1940, the U.S.S.R., in its campaign against Finland, became the first nation to use paratroops. On April 9, 1940, the Germans first used paratroopers in their assault on Norway. On May 10, 1940, they invaded Belgium, the Netherlands, and Luxembourg with paratroops and glider troops. As a result of these successes with paratroops, the U.S. Army organized the first class for training paratroops at Fort Benning, Georgia in 1940. Since these past developments, parachutes have been put to many uses, primarily, they have served to save lives. During the height of World War II, production of parachutes at the Irving Air Chute Company factory in Letchworth, England, reached a peak of nearly 1,500 parachutes per week. The world famed Caterpillar Club, founded by Leslie Irvin and named after the silk worm (caterpillar) that spins the silk from which parachutes were made, gained thousands of members during World War II. By late 1945, there were 34,000 members of the Caterpillar Club. The only requirement for membership in the select club is that the applicant must have bailed out under emergency conditions, and furnished written confirmation from witnesses, such as commanding officers or adjutants, that the jump was a genuine emergency bail out. Three short rings on alarm signal indicates "Prepare to bail out." One ling ring is the signal for "Bail Out." Jump for it! by Gerald Bowman. Stories of the Caterpillar Club. Besides the story of the club, it contains the stories of some 85 Caterpillars from around the World. It also advises where Caterpillars can receive their free Magnum of Shiraz ( Grapes and Caterpillars) and also a little moralizing (Who Packed your Parachute?). 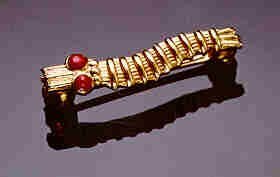 Wikipedia information on Caterpillar Club. An article in the Stars and Stripes on The Caterpillar Club.